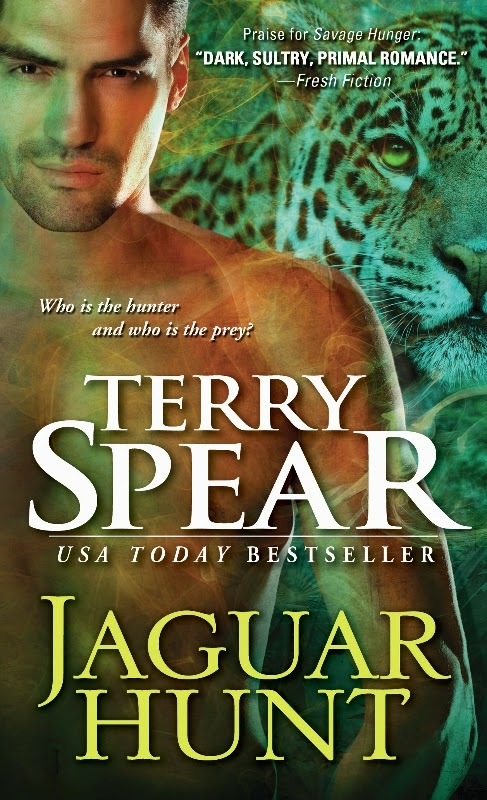 Casablanca Authors: Jaguar Hunt is Here! Well, Tomorrow! Jaguar Hunt is Here! Well, Tomorrow! When I write a story, I really get into them. 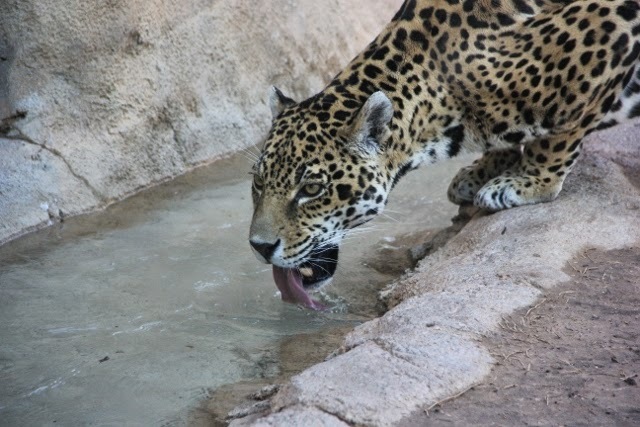 And when I started Jaguar Hunt, I had two goals in mind: find the missing zoo cat from Jaguar Fever and discover what had happened to Maya and Connor's parents. Note: When I write a book, I have no clue myself. I don't plot out a book. I couldn't. So I started out with how the characters begin the story. What David is up to, and what Tammy has to do. David has been assigned the case of watching two jaguar shifter teens that are bound to get themselves into real trouble, and one more infraction of their laws, and he's got to take them in to headquarters where the director of the JAG branch will decide what to do with them. Much like what happened to David and Wade when they were teens. So see? It came back to bite him. He learns the kids know something about the case that Tammy's working on. 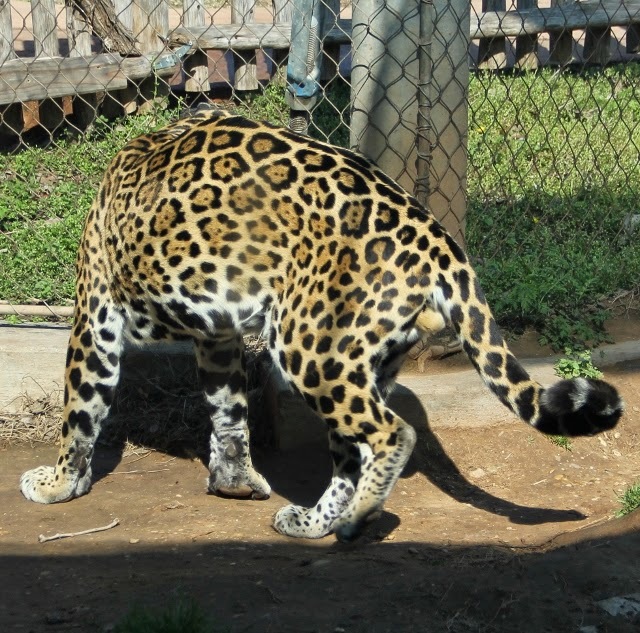 The case of the missing zoo jaguar. So he calls his boss to let him know he wants to be teamed up with her, because now his case is tied in with her case. Only he has to spend a little time in jail. But that's all part of the plan, you see. Tammy can't believe she's being teamed up with a JAG agent when she has to bail him out of jail first!! Her big thing is to ditch troublesome partners and he's already proved he's trouble with a big T.
Maybe he didn’t know yet that he was supposed to be her partner. Tammy decided not to say anything. She’d solve the case just fine without him. She shook her head as she filled out the paperwork in the police station and was about to pay his fine—courtesy of his JAG boss—when she discovered someone else had already done so, anonymously. That was weird. While she waited for David to be released, she folded her arms, sandaled foot tapping the floor. She normally thought herself a very patient person. “He’s all yours,” the police officer said as he escorted David out of the cell block. David was darker haired than his brother, Wade—whom she had met. David’s locks were shaggier, windswept, and wilder looking, his eyes a pure green and focused on hers. He appeared way too eager to see her. Sure, she had just sprung him from jail, but his look was more of a “cat that got the cream” kind of expression, instead of strictly being pleased she came here to have him released, which worried her a bit. Just because his brother was now married to her cousin didn’t mean anything to her. She didn’t know David from the next troublemaking shifter. David smiled at Tammy, his dimples making him look sweeter than she figured he was. A year ago, she’d worked with a couple of other JAG agents on a mission, who had thought she wasted their time. They knew their business, and according to them, she was just a handicap. So she didn’t figure David would act any differently. Worse, if he couldn’t keep out of mischief, why should she risk her investigation while working with him? As he signed for his personal items and pocketed his cell phone, she studied the olive T-shirt stretched across his impressive abs and pecs. He looked prepared for combat action: camo cargo pants, boots ready to tromp through the jungle—typical attire for a JAG agent headed to South America on a mission. She, on the other hand, was dressed casual for summer—jeans, blouse over a camisole, sparkly sandals—blending in with the everyday population. “The cop told me you’re Tammy Anderson. You must be Maya’s cousin,” David said, his eyes shifting over her and again meeting her gaze. “Yep.” Tammy headed outside when a tall, well-built man with a handlebar mustache bumped into her, not watching where he was going as he bolted up the steps to the station. She took a sniff of the air surrounding him. She glanced back at the man as he entered the police station. He smelled like a lion. An African lion… shifter? She didn’t think anything like that existed. That made sense. The staff at the local zoo that handled the animals would most likely smell that way, also, except this guy didn’t look like a zookeeper. Not with the handlebar mustache. “If you think you can keep yourself out of jail for a while, you’re free to go,” she told David and took off across the parking lot at a quick pace. Before she realized he was following her—closely—he caught her arm, his large hand strong, his grip tight. She swallowed an un-Enforcer-like squeak as he promptly stopped her in place. Her ire stoked, she was so tempted to take him down. She suspected he knew just what she was thinking, and he’d thwart her before she even made the attempt. That was the problem with him being with the JAG and also trained in hand-to-hand combat. A wry smile curved his mouth. For a second, she was transfixed. He had lips that enticed a woman to sample them—not too thin or too large, just perfect kissing-size. Shaking loose of that thought, she glared at him instead. “We’re working together,” David said, cutting to the chase. “Your boss asked my boss if he could assign one of his best agents on the job to work with you. That’s me. David Patterson.” He gave her another award-winning smile. Yep, that's David. :) He's lots and lots of fun. And Tammy's just the kind of challenge he needs in his life. Although his brother warned him to keep his hands off because she's his mate's cousin, and her brothers warned him that she dates humans, and she ditches partners. And now, we have Jaguar Pride coming out in Feb! Hot, right??? He's a black jaguar, and love this cover too! Donna Fournier shared her cousin's beautiful tattoo that actually is made of a special ink that glows in black light. Donna said, "This beautiful art work was done by Nic Skrade. He owns Uptown Tattoo in Mpls. He's a true Artist. And my Nephew." BUT, I wanted to forewarn anyone who attempts this and then makes a trek into the rainforest...you might just attract a jaguar who has to check it out. Do you know which one this is? Huntley is in Jaguar Pride and coming in Feb.
Hope you all are having a great day in the start of June! Tomorrow Jaguar Hunt releases. Who would you like to see a story about next and why? Are you enjoying the jaguars and if so, what is it that you like about them? For one lucky reader, US, I will send the first 3 books in the jaguar series to you. Thanks so much for dropping by and saying hi! Great excerpt and giveaway! What an awesome tattoo, too. I am always so impressed by people who can stand that much pain. Would love to win the print books. That lady's tattoo is cool. Thanks for the contest. Thanks so much, Sin!!! I'm having a blast writing them. Now Huntley and Tammy's brother needs his story! Congrats on the release. Can't wait to read the series. cant wait to read and I love all your books!!! Can't wait to read this one. Hmm what I'd like to see if we are talking wolves then some more Highlanders or some of the Arctic wolves (Gavin, Owen or David). But if we are going out on a limb what about a new Shifter like a bear? Love your Highland werewolf romances; can't wait to get started reading your jaguar ones. I would love to win them! Big cats are my favorite shifter books and these sound like ones that would top my list! Thanks for sharing! I haven't had a chance to read any of this series, but I love wild cats and I love shifters, so you know it is going on my TBR list. I would be thrilled at a chance to win some of the first books. Loved the blog, pictures, and tattoo. Thanks for the excerpt. Oooh! Nice pics... I always love your pics. You're an awesome storyteller, Terry! Thanks so much, Lindalou! 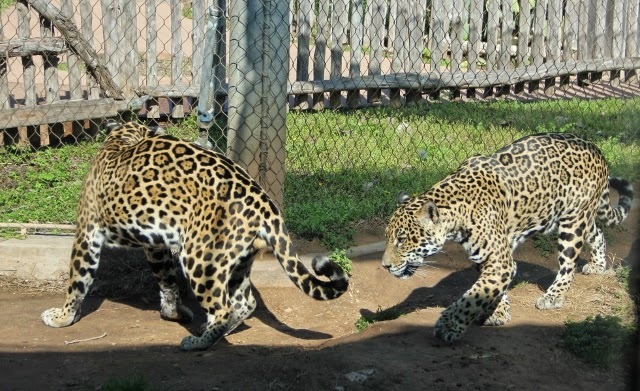 I asked which character one of the jaguars was and Bonnie asked if I had a tail end shot. LOL :) Of course! That's what I get a lot of. She said it had to be David. LOL!!! Would love one of the books! I love your stories, Highlanders, Wolves and the Wild cats! Kimberly, I love hearing that! I really strive for that, so I'm glad to hear when it works!!! Hope you love David's story! I'm afraid I haven't read this series but I want to. 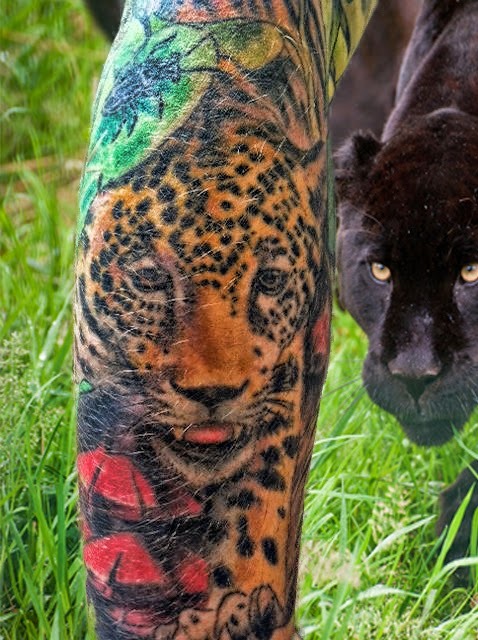 Love the big cats and what beautiful picturs (even from the back lol). Congratulations on the new release Terry! You write some of the best shifters! All the research you do really helps make the story and the characters the best! I'm really surprised you don't plot the story out ahead of time. That's amazing! I always look forward to your books! They are great! Thanks so much, Heather! Yeah, can't do it for the life of me. Even when I was a kid and had to do research papers. Remember the outline? Ha! I'd write it and always go somewhere else with my research and have to do a whole new outline. I will stare at the blank monitor trying to come up with a "plan" until I figure it's not working and just write. Then I don't know what's going to happen next and my readers don't either. LOL :) So we're even! Thanks so much for loving my stories! What a great post. Loved the excerpt! Can't wait. It's almost here. YA! Love all your books. Thanks for an AMAZING giveaway. Congratulations on the new best seller, Terry! LOVE the pictures, the covers and the fact that you let your characters lead you through the story. Thanks so much, Carolyn!! :) Is there any other way for characters to behave? LOL :) Had fun taking the pictures! And the covers, love them. That new one is hot, hot, hot! I forgot to answer your question. I love the jaguars because we know so little about them and they are ferocious, absolutely gorgeous and stronger than lions. Cat shifters are oneof my favorite romance genres to read. I' ll have to get back to you about who I want to read about next...you are covering the one I can think of right now in the next 2 books ;-) Thanks for the fun stories and the giveaway! Thanks so much, Glittergirl. Yes, everyone wanted to see David next. Then Tammy has two brothers, so I wanted to write Huntley's story because he's a black jaguar and I just thought that would be too cool. :) So that's Jaguar Pride. I absolutely love the jaguar and wolf shifter series! I have every wolf book and would love to build my jaguar collection! I am also hoping there is more crossover between the two! There is a little about Zoo man Thompson in this one since it's about his missing zoo cat. And he played such a role with the wolves. I keep trying to come up with a way that a couple of jaguar shifter toddlers are...oh, that's a secret... :) I'll just have to share it in a story. :) Thanks so much! I really love this series. Jaguars have always been one of my favorite animals and your series completely does them justice. I am so excited to read this one, I have been eager for David's story. Any chance of a crossover book between your jaguars and wolves? That would be really awesome. Thanks, Steph! Yes! I have a great scene in mind that will mix the two. Not sure which wolf pack, but I'm thinking about it. :) Thanks for loving the series! Enjoy reading about your shifters. Love watching the big cats at the zoo. (even saw a lion-tiger mix once) Would love a story about cubs. Thanks so much!! Did they call it a liger or a tigon? I've seen both. How neat! How did that come to be? Hi Terry! I am not entering the contests - I have all of your books already :) - I just wanted to stop by and say Hi and Congratulations on the new Jaguar book release!!! I am very excited for these books!!!! Ok, I am excited for all of you books! Congrats!!! you don't have to enter me in the contest. I have all those books and loved them!! Yeah, you have to be really careful about stuff like that. :) LOL Thanks so much! Loved the excerpt! Congrats on the new release! I would LOVE to win these books. I have been into your other series'. And this one looks just as great! I love Big/Wild cats! To my Mother's horror I would play with some wild cougar cubs in Colorado when I was three. Never did get over the fascination! LOL Can't wait to read these books too. Have a great day everyone! Thanks so much, Dusty! The cats are fun. I've enjoyed the differences between the exotic cats and the endangered wolves. I bet your mother would feel that way. Just as if mine would if she knew we played in the jungle-like swamps across the street from us when we lived in Florida. Luckily we never came across any of the bigger wildlife--like alligators!